PHILADELPHIA, Pa. -- Congressional Republicans are gathered here for their annual retreat where they will meet with their new president as a group for the first time Thursday. The party is facing an aggressive, self-imposed set of legislative goals. And House and Senate Republicans are trying to move forward on that ambitious schedule while at the same time dealing with distractions from President Donald Trump's sometimes separate agenda, complicating an uneasy alliance. The president has spent his first days in office setting course with new executive orders on issues from trade to health care and immigration but also with talk about issues less important to Congress -- like the crowd size of last week's inauguration and debunked claims of widespread voter fraud in last fall's election. Republicans here find themselves walking a fine line between supporting parts of that agenda they agree with while diplomatically masking their differences on other parts. And GOP policy wonks are having to recalibrate their agenda and address unexpected actions coming from the White House. A melding of their goals is also evident, however. House Speaker Paul Ryan and Senate Majority Leader Mitch McConnell Wednesday presented their rank-and-file members with their 200-day plan of top priorities. Topping off the list was replacing the Affordable Care Act, also known as Obamacare, and tax reform. 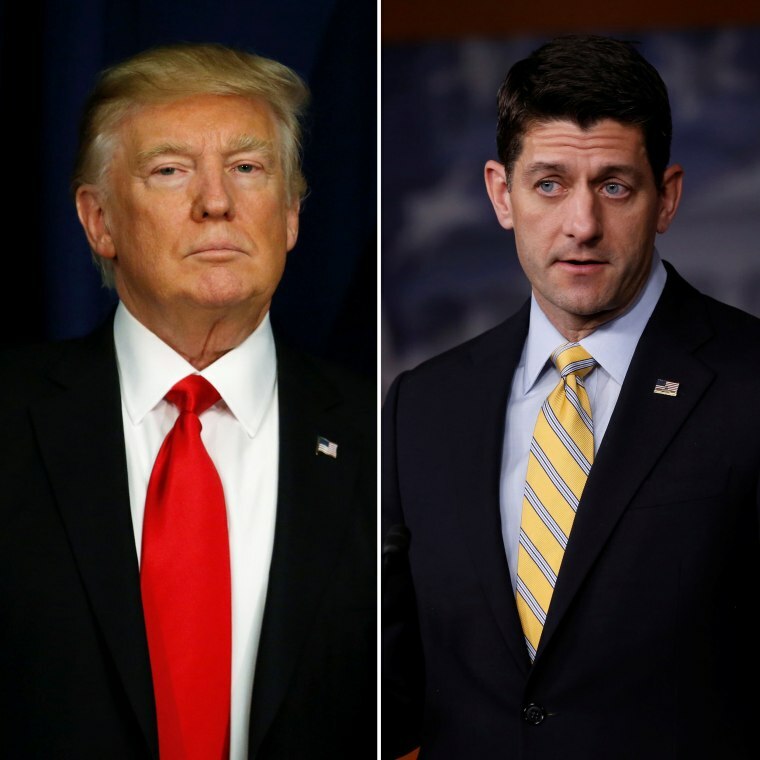 On top of that, a plan on infrastructure was added at Trump’s insistence, according to Rep. Chris Collins, R-N.Y.
And Speaker Ryan told the conference that he would bring up an emergency funding bill to pay for the wall along the border of Mexico. Trump announced Wednesday an executive order initiating it. While Trump said Mexico would pay for it, the House bill would provide the upfront funding. While the party marches forward on those big items, there are distractions here too, such as reports that the White House is considering two executive actions that would revive the debate over interrogation tactics, including changing the Army Field Manual that dictates approved interrogation techniques and bringing back “black sites,” CIA operated locations that interrogated terrorism suspects until they were shut down under President Barack Obama. And most Republicans in Congress are reluctant to relitigate those issues. Senator John Thune, R-S.D., was more explicit in his opposition to Trump. And for another day Republicans found themselves asked about Trump’s insistence that three to five million people voted illegally in the last election. “Look is there voter fraud? Yes. Should we root it out? Yes we should,” said Sen. Cory Gardner, R-Colo., without answering if he agreed with Trump’s claim. Rep. Jason Chaffetz,R-Utah, who is head of the House Oversight Committee, dismissed the idea of widespread voter fraud and said he would not spend committee resources to investigate it. “The president has a hundred thousand people at the department of justice and if he wants to have an investigation, have at it. I just don’t see any evidence of it,” Chaffetz said. And there are differences between Congressional Republicans and the president on major issues, such as trade. This week Trump signed an executive order pulling the U.S. out of TTP, putting an end to a trade deal unpopular among members of both parties but in line with traditional GOP ideals. Republicans helped President Obama move the deal forward in 2015. One of those Republicans was Sen. Jim Risch, R-Idaho, who was cautious in his response earlier this week. "I heard about it. I haven’t seen the details on it. I want to see what the plans are for the future before I criticize,” Risch said hours after Trump signed the order. On another issue, a tax proposal called the border adjustment tax, an idea by Speaker Ryan that is intended to persuade companies from buying products overseas, which is in line with Trump’s made-in-America goals. The proposal would tax companies for any good they brought in from overseas, a proposal that Trump has called "too complicated." Collins, the first member of Congress to back Trump, indicated that Republican leadership are still supportive of it. Republicans are hoping to receive clarity and specifics from Trump Thursday on how to move their hefty agenda forward. But when facing an unpredictable ally, they are bracing for the unexpected.